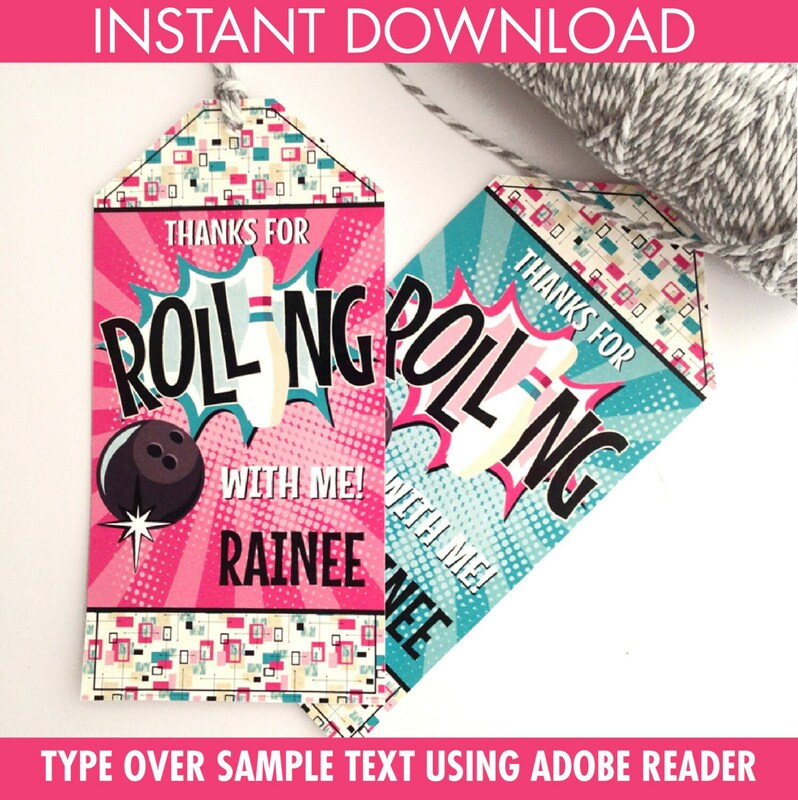 (¸.·´This fun retro PINK & TURQUOISE BOWLING Party Favor Tag by SimplyEverydayMe. 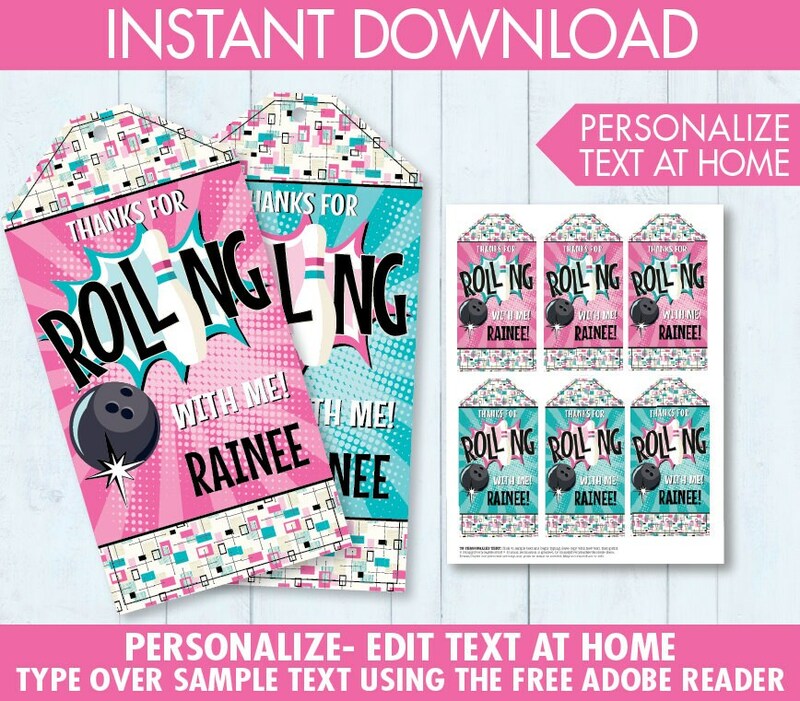 This is an INSTANT DOWNLOAD PDF KIT which includes: Editable Party Favor Tags (6 to a page) - - Open your PDF with the FREE Adobe Reader, simply type your text. My printables will ONLY work in the FREE Adobe Reader on a computer or laptop (they are not compatible with smartphones or tablets). ★ Plus Information for materials need & paper suggestions ★ and a tutorial for editing text in the FREE Adobe Reader.